According to their authorities, no gross violations have been registered. 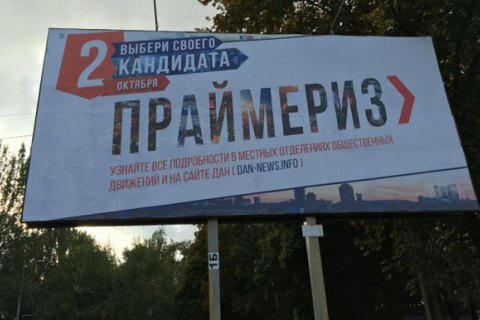 The occupying authorities held primary elections in the areas of Donbas uncontrolled by the Ukrainian government on 2 October. According to preliminary reports, 369,617 came to the polls in the self-proclaimed Donetsk people's republic, which is a third of the pre-war population, the Novosti Donbassa website has said. According to the separatist website LuhanskInformCentre, over 50,000 voted in primaries held in the self-proclaimed Luhansk people's republic. The separatist authorities said that no gross violations had been registered. According to the Minsk agreements on a Donbas settlement, local elections should be held in separatist-controlled areas. However it is not yet clear how this process is going to be organised. The trilateral contact group has been working on its mechanism for a while now.